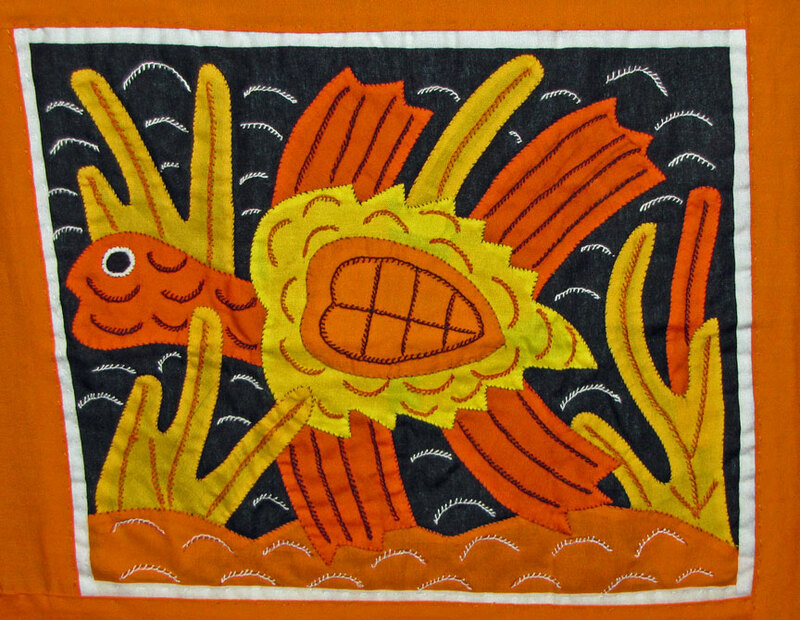 The Atlantic Ocean offers a special beauty of the San Blas Islands. 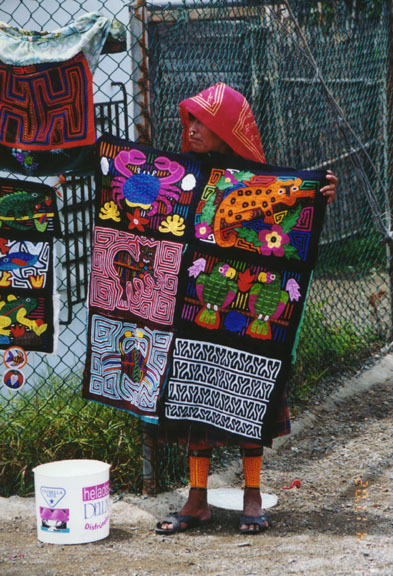 This Archipelago stretches some 200 miles along Panama’s Coast, a series of flat, Coral Islands just offshore that offer timeless beauty unique to the Americas. 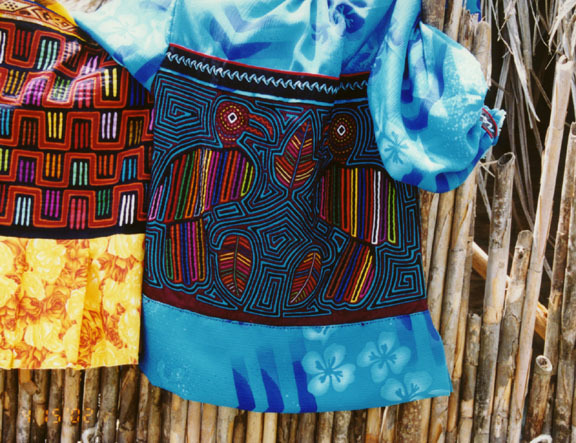 They’re Inhabited by the colorful Kuna Indians, whose vibrant dresses and intriguing Molas have gained worldwide recognition. 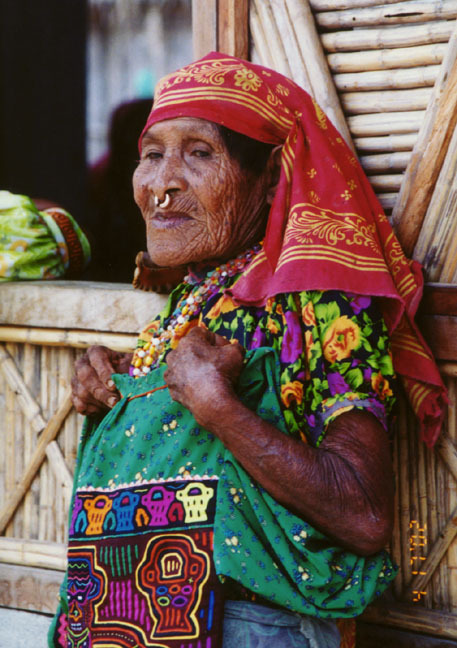 The Kuna women’s tradition to wear gold nose rings, arm and leg band of beads, and the colorful Mola blouse is undoubtedly one of the most spectacular dress of Indian women in the Americas. 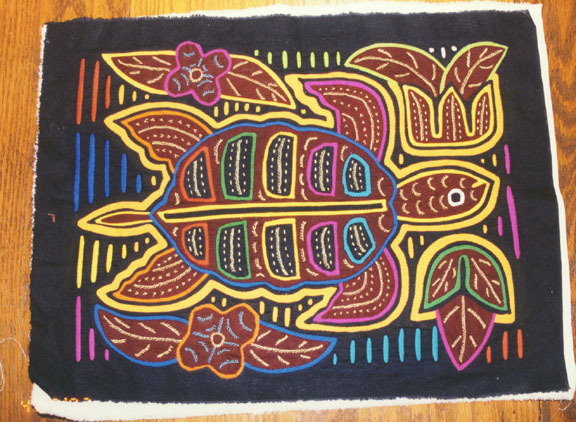 It is the individuality in the highly imaginative Mola design that its art, primitive yet instilled with a refreshing freeness of nature, is increasing in popularity in American, Asian and European circles. 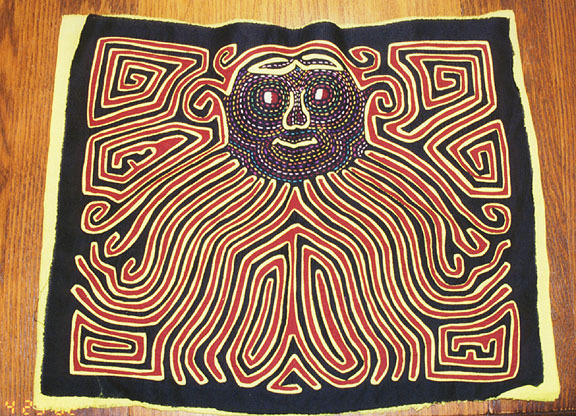 The Mola consists of Sculpture through motif. 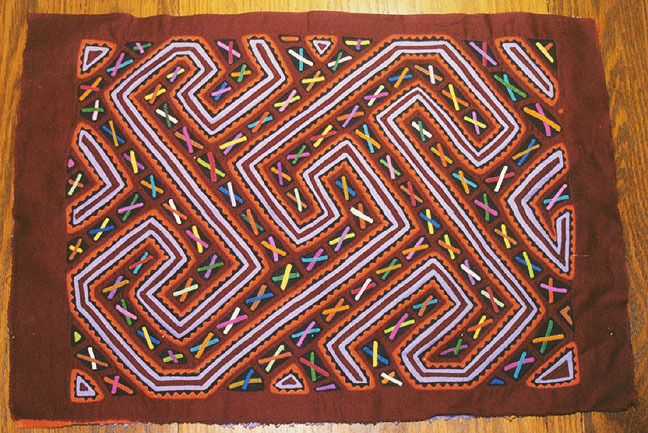 It has several layers of cloth, that are stitched together, where designs have been carefully cutout to expose underlying colors. 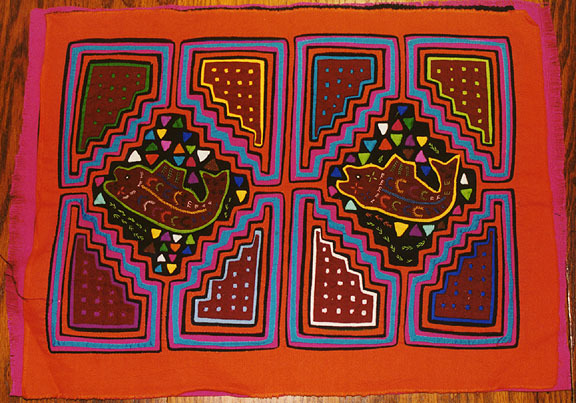 A method of cutting not drawing before cutting and bring forth totally individual and unique design to each and every Mola. 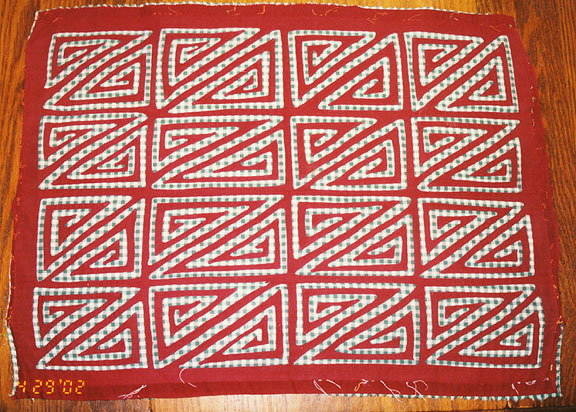 After completion, these decorative panels are used to form the front and back parts of the blouses made and worn daily by the Kuna Indian women. 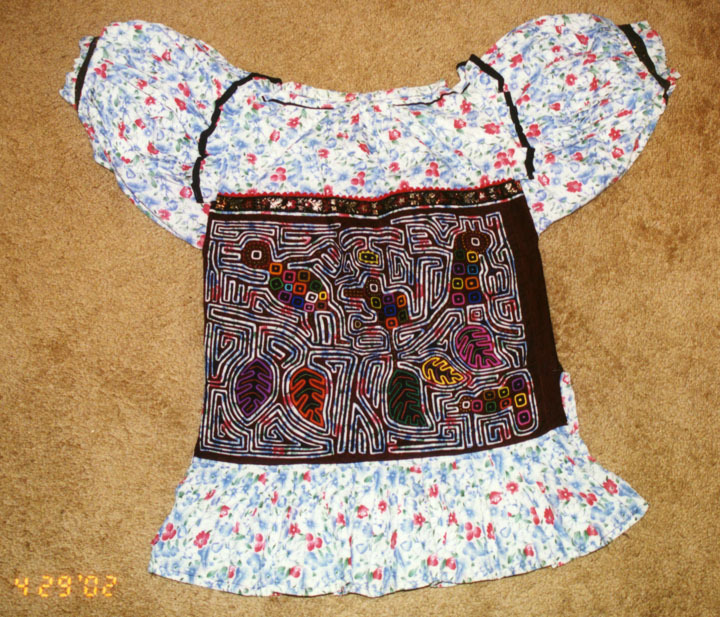 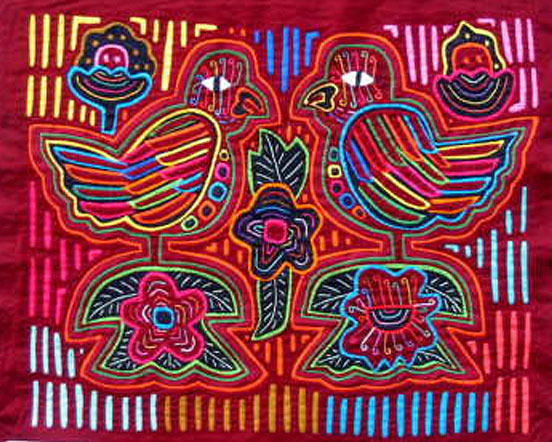 Each blouse consist of 2 molas, front and back, although similar they are never alike, thus creating 2 mola. 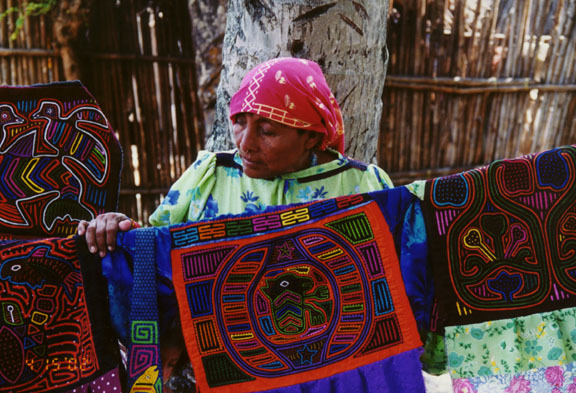 That are handmade and completely unique. 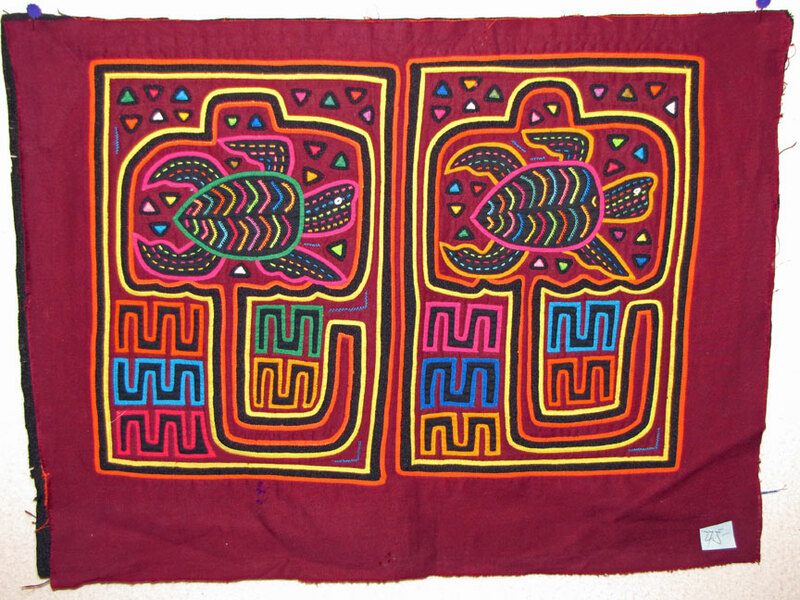 Mola designs of motifs may come form a variety of sources. 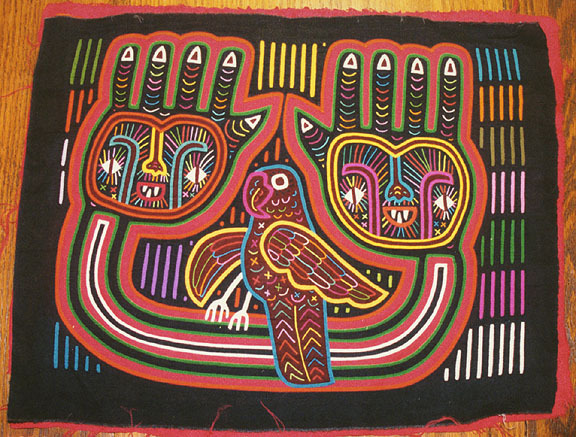 Usually these motifs come from everyday life, observance of nature in all forms, basically what effects daily life, politics and medicine, yet some designs can come from legends, dreams, fantasies or purely imaginative thoughts. 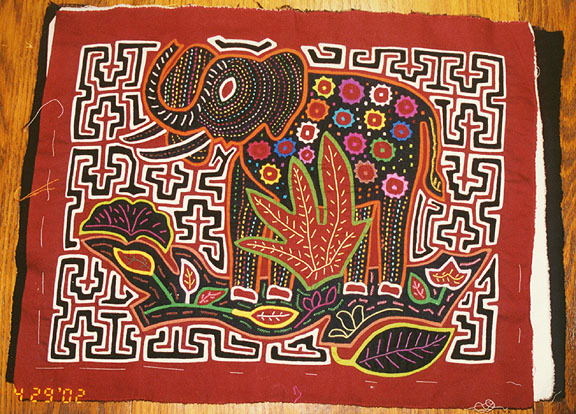 They can be abstract or geometric as well as an animal motif. 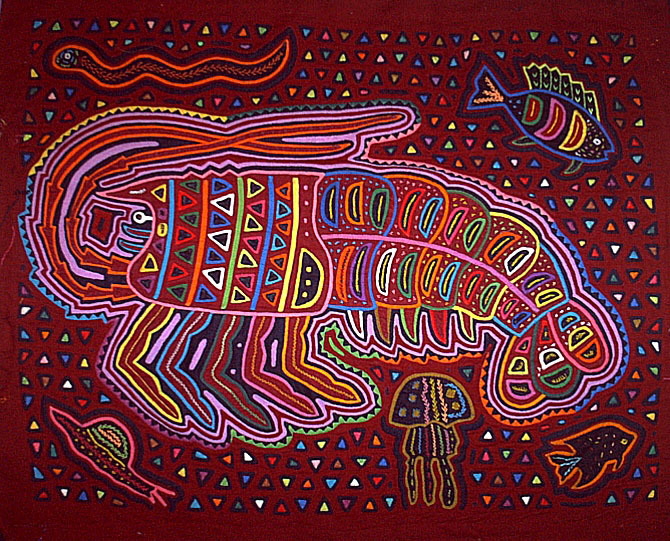 A mola should be enjoyed as a piece of beautiful art work, that comes alive, a design that creates a three-dimensional projections, a design that shows personality and able to express feeling (anger, happiness, sadness). 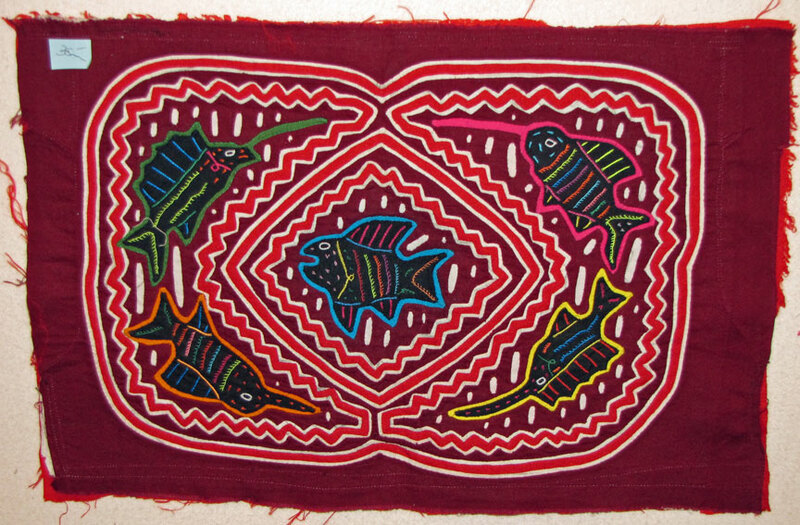 In other words, your Mola should be viewed like a painting, at proper distance of 3 to 8 feet. 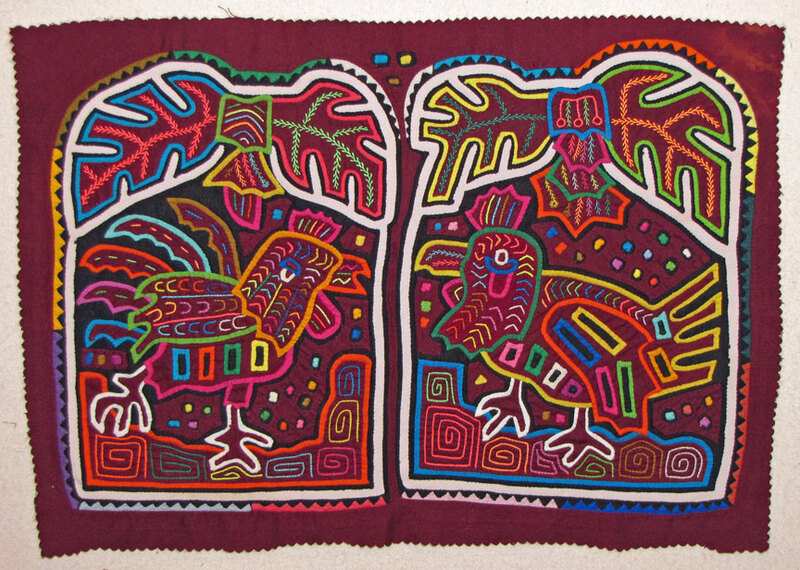 The obvious criterion in judging the artistic merit of Mola is by the degree or personal sensitivity and imaginative appeal. 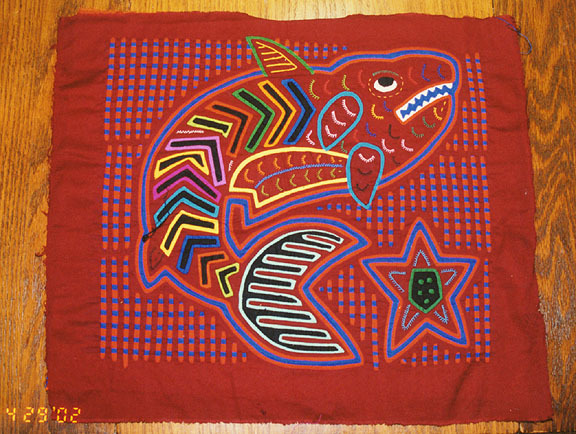 Generally speaking, one can ask "Does the Mola come to life?" 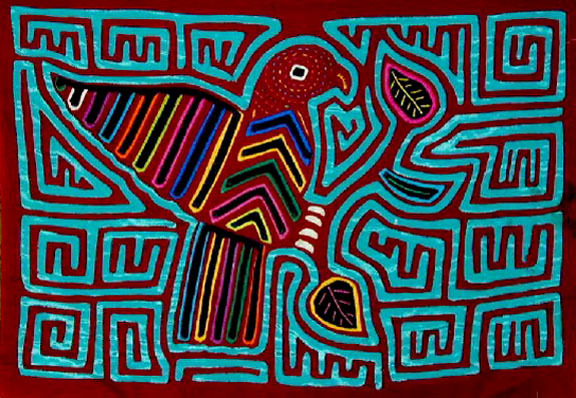 For instance, do the birds fly, the eyes twinkle, the leaves rustle, the water splash, the colors glow --or simply does it charm you? 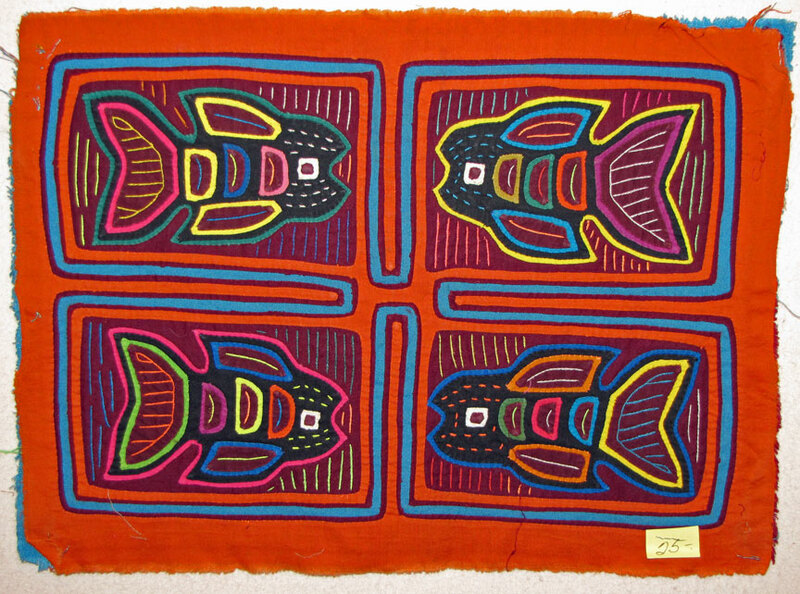 "Molas are a wonderful brightly-colored artistic expression designed and handmade by Kuna Indians even today. 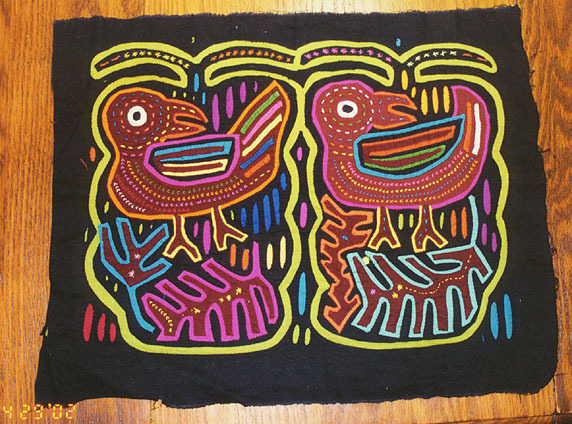 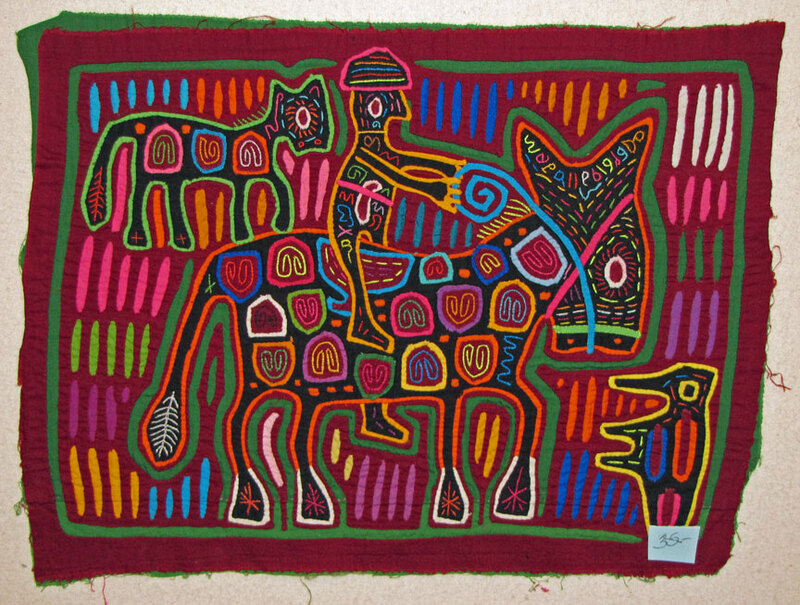 They consist basically in a number of different colors of pieces of cloth laid one top of the other, the maker then cutting down through the layers forming primitive and ingenuous designs of natural figures, and mythological or geometric concepts, and then sewing the layers with incredibly small and perfect stitches. 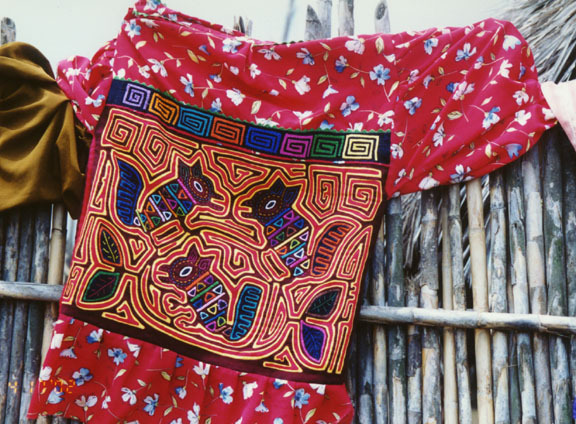 "Mola" means blouse, and an Kuna woman always makes a pair with related though, not identical themes which she then places one to form the back and the-other the front of her blouse. 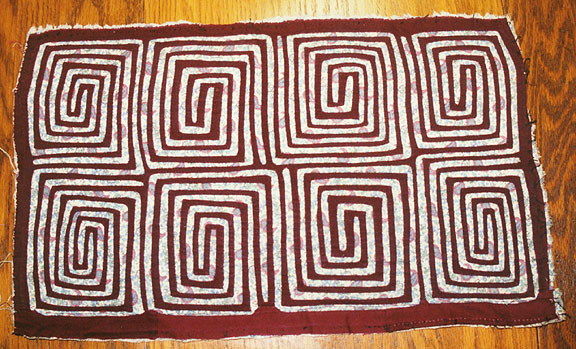 They usually measure 16 x13 Inches each. 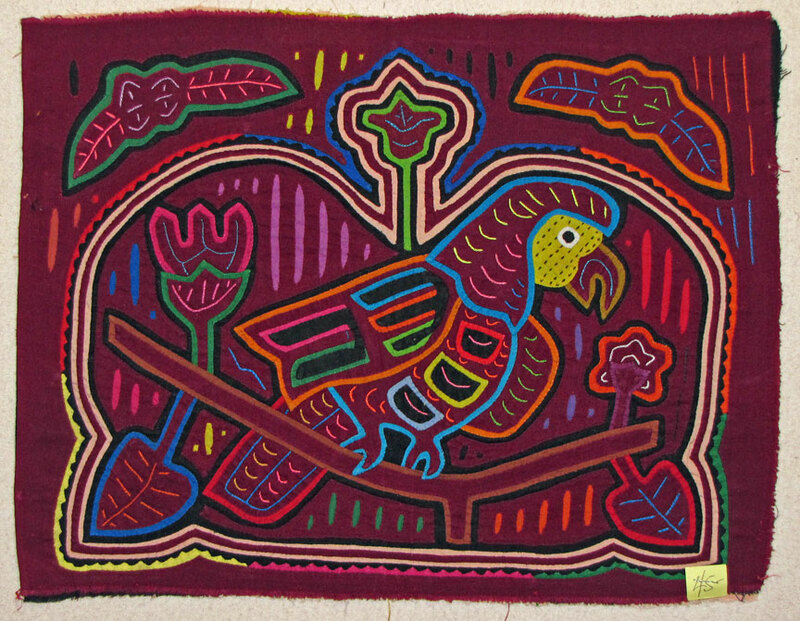 Different, attractive, decorative, Ingenious, unique, are some of the ways to describe this art of great beauty and mysterious origin.